New details have emerged about a horrific "purge" in the Russian region, the likes of which haven't been seen since the Holocaust. 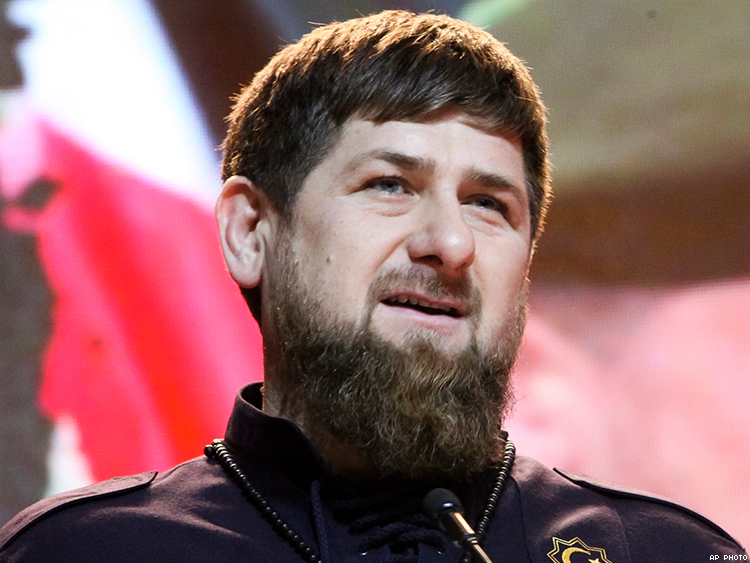 In recent weeks, reports have come to light about a vicious campaign in Chechnya, in which at least 100 gay men have been arrested and three have been killed in the Russian region. One eyewitness told Novaya Gazeta, a Moscow-based Russian newspaper, that this campaign includes concentration camps, the likes of which haven't been seen since the Holocaust in Nazi Germany. A reported survivor of a camp set up in a former military base in Argun said he was tortured and interrogated by Chechen officials, who demanded to know the names of more gay men. To this end, they confiscated his phone and targeted his contacts, regardless of their sexual orientation. Sources claimed that "interrogation" tactics included electro-shock torture and violent beatings. Detainees are reportedly being ransomed to their families, which are selling possessions and property to save loved ones. The newspaper's sources also claimed that the Speaker of the Parliament, Magomed Daudov, was present during interrogations and transfers of the camp's detainees. Regardless, Chechnyan leaders have denied the accounts of arrests and killings, and indeed, denied that gay people even exist in the region. “You cannot arrest or repress people who just don’t exist in the republic,” Alvi Karimov, a spokesman for Chechen leader Ramzan Kadyrov told the Interfax news agency. “If such people existed in Chechnya, law enforcement would not have to worry about them, as their own relatives would have sent them to where they could never return,” Karimov added. Last week, the U.S. State Department issued a strongly worded response to Russian and Chechen leaders that condemned violence against LGBT people. "We are very concerned by the widespread discrimination and violence against LGBTI persons in Russia or any society," the statement read. "We call on the Russian government to protect all people from discrimination and violence, and allow the free exercise of the freedoms of expression, association, peaceful assembly, and religion or belief." Tanya Lokshina, a spokesperson for Human Rights Watch, criticized the Kremlin for its inadequate and tone-deaf response, which told victims to use official channels to report crimes. Lokshina pointed to the culture of fear and homophobia that has kept many from revealing their identities and using such channels. "It is difficult to overstate just how vulnerable LGBT people are in Chechnya, where homophobia is intense and rampant," said Lokshina, adding, "Without solid security guarantees, victims and witnesses cannot possibly come forward, and there is no chance that an effective investigation could take place." Authorities have been seeking out closeted gay men, partly by pretending to look for dates on social networking sites. Gay men have now begun deleting their social networking accounts, while some have posted harrowing stories — one of a 16-year-old boy who disappeared from a Chechnyan village and was beaten to death, with his bones returned in a bag.